Home FAQ and help Smartest Dogs: Is Your Pet the Cleverest Pup of All? Do you have one of the smartest dogs around? How can we tell how clever our pups are? And which pups are the cleverest of all? The field of canine intelligence—identifying and studying the smartest dogs—is a popular field today. With nearly 90 million pet dogs cohabiting with humans in the United States alone, the field sports a rich and robust audience for any new findings on dog smarts. On the flip side, no owner wants to be told her brilliant, loving, adorable pup is not that bright. The good news is that there are all kinds of canine intelligence, just like there are all types of people intelligence. Your dog might not be an “A” when it comes to guarding your home, but she might be at the top of the list for learning new tricks. So read on now to learn what science says about the smartest dog breeds today. 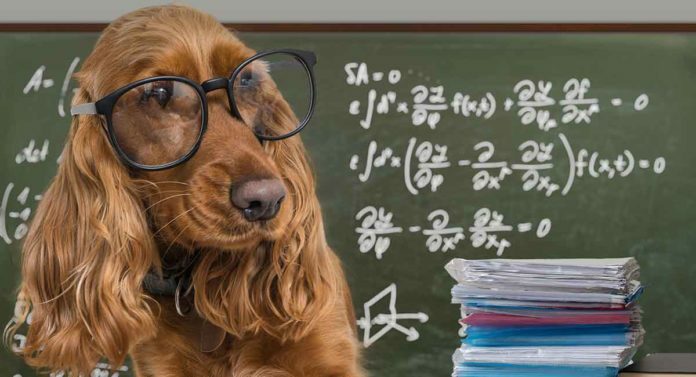 Figuring out what’s the smartest dog isn’t as simple as it may sound. To really figure out the smartest dogs, you have to start by identifying different types of canine intelligence. And some of the smartest dogs are fabulous scent trackers but not too great at sight work. Other smart dogs are amazing at retrieving but make unexceptional guard dogs. In other words, if you want to see your dog’s unique smarts, you need to play to her strengths. Instinctive intelligence is the type of smarts your dog has based on her breed. For example, retrievers are great at retrieving. Sight hounds are great at spotting targets. Scent hounds are the smartest dogs when it comes to sniffing out just about anything. Adaptive intelligence is the degree to which a dog can learn to solve problems well. This may include figuring out how to combat boredom, sneak treats (or wheedle them out of a gullible doting human owner), deal effectively with the family feline, or drink water out of the toilet when the water bowl runs dry. Researchers say this type of intelligence comes closest to the type of intelligence human students employ to learn new skills and memorize information in school. The canine equivalent would be memorizing commands and learning new tricks. It is this type of intelligence that also generates comparisons between human intelligence and canine intelligence. Current data places canine smarts at around what a 2 or 2 1/2-year-old human child might exhibit. In 2006, one canine researcher attempted to definitively answer the question of what are the smartest dogs in the world. Data came from a survey sent to 200-plus professional dog trainers, judges, and handlers. This resulted in what is perhaps the first “official” smartest dog breeds list, based solely on a single type of canine intelligence: working/obedience intelligence. To make this list of smartest dogs, a dog had to learn new commands in less than five tries and demonstrate near-perfect obedience. The Border Collie breed sits firmly in the number one spot as the smartest dogs for working/obedience intelligence. The border collie is an active dog that is as eager to herd family members as livestock. These dogs need a lot of activity and exercise to thrive as family pets. However, they will quickly learn and master even complicated commands, tricks, and sports. They’ll also come back looking for more. Hip dysplasia is the biggest activity-related health concern in this dog breed. The Poodle may look like a dainty, delicate prima donna. But underneath some of those wild haircuts, this dog has the heart of an athlete and the brain of a scholar. Poodles are people-oriented with “their” people, and quickly learn and master commands and tricks. Poodles today come in three sizes: standard, miniature, and toy. All three can have joint health issues related to their sizes. The German Shepherd is perhaps the most popular breed for guarding, police and military work, and guide dog work. This dog can weigh up to 90-plus pounds in adulthood, and is lean and strong. The GSD is absolutely a people dog and will bond very closely with “their” people. They need plenty of exercise and activity, and can excel at agility and sports. In recent years, GSDs have developed back issues related to the purebred conformation standard. As well, these dogs can develop hip dysplasia and bloat. The Golden Retriever is such a beautiful, happy, people-loving pup. These dogs typically never meet a stranger, are eager to learn commands and tricks, and want to please “their” people. 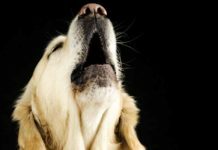 This makes Goldens a top pick for service and therapy dog work, search and rescue, canine agility, and detection dogs. Hip and elbow dysplasia are the biggest health concerns for training purposes. The Doberman Pinscher (also just called a “Doberman”) comes from a long lineage of guard dogs and working dogs. The Doberman is an intensely loyal dog that will bond closely with “their” people. She is fearless and tireless in whatever job she does. The Doberman is quick to learn and master new skills, commands, and athletic activities. She’ll do best when given a consistent job. The Doberman can struggle with cervical vertebral instability, hip dyplasia, and bloat. The Shetland Sheepdog (“Sheltie”) looks so much like a mini Border Collie. It’s easy to get the two breeds mixed up. The Shetland sheepdog is quick to learn new commands and tricks, and will readily make up some of her own. These dogs typically weigh 25 pounds or less as adults, but their fluffy coats can make them look bigger. Shelties usually excel in canine athletics, herding, the show ring, and obedience training. Shelties can suffer from hip dysplasia in spite of their small size. 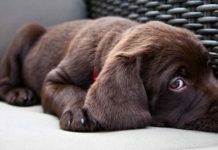 The Labrador Retriever is currently the most popular pet dog breed on the planet and has been for the last 26 years straight in the United States. The Lab loves to be with people. Training is just another opportunity for interactive play, and the Lab also lives for interactive play. This makes the Lab a shoe-in to make the top 10 list of the smartest dog breeds in terms of working/obedience intelligence. 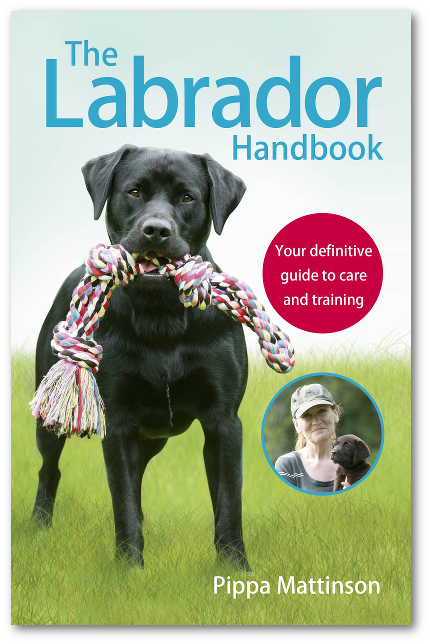 Interestingly the Labrador’s intelligence is sometimes thought to vary with its colour. 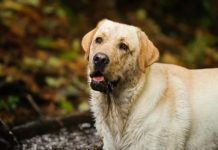 The Lab can exhibit some health issues based on the breed’s large size and purebred lineage, including hip and elbow dysplasia. Another concerning issue, especially when training with food treats, is obesity. As you have likely already noticed, the Papillon is the sole representative for the smartest small dogs in this particular list. The papillon is petite, weighing in at just 5 to 10 pounds fully grown. These dogs are very socialized to humans and thus score high in people-pleasing. Papillon dogs are friendly, outgoing, and active. They love to run and play. They can readily learn commands and obey them consistently, and can make great service or therapy dogs. Papillon dogs are also great at learning tricks and excel in the show ring. Health-wise, the Papillon’s small size is linked to some concerning health issues, most notably fragile bones and hypoglycemia. The Rottweiler is a sizable pooch, weighing upwards of 100 pounds at maturity. “Rotties,” as enthusiasts have nicknamed them, tend to bond very intensely with a single person or “their” family. Rottweilers need to have human company throughout the day every day. They need lots of exercise and playtime. This dog responds well to training because a training session is just another chance to interact with people. There are special health issues that come along with the Rottie’s large size, including hip and elbow dysplasia, osteochondrosis (improper bone formation), panosteitis (inflammation of the bone), and bloat. The Australian cattle dog, also known as the Blue Heeler, hails from a canine lineage that includes the wild Australian dingo. These tireless working dogs are medium-sized, typically weighing in at 30 to 50 pounds in adulthood. They are compact, muscular, and truly tireless in their herding work. Because the Blue Heeler is a breed used to running, jumping, and working nonstop, you can count on your pup needing a lot of exercise, playtime, and activity. These dogs score very high on the trainability scale because they live to learn new skills and apply them. The Australian cattle dog does have training-related health issues, including joint problems such as hip dyplasia and osteochondrosis. My Dog Isn’t on the List! Does this mean my dog isn’t smart?? If your pup isn’t on the list you just read, does that mean he isn’t smart? 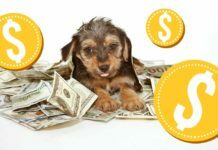 Answering the question about “what is the smartest dog” can factor in so many more attributes besides just how quickly your dog learns a command or how often she obeys that command. For example, although the field of canine intelligence is still quite young, researchers already know that the smartest dog in the world may be too smart to do well on several canine intelligence tests. Take certain dog breeds that are often described as “catlike,” such as the Afghan Hound. This dog breed scores quite low on traditional canine smartness tests that are based on learning new commands quickly and obeying them most of the time. Yet the Afghan Hound is one of the most ancient dog breeds alive. This dog is a sight hound extraordinaire with an unbeatable work ethic based on independent decision-making. Given this, the Afghan scores low on the working/obedience intelligence test (coming in at number 79 out of 79 dogs). Yet the Afghan hound is sneaky smart in meeting her own needs, whether it is staking out the comfiest seat in the living room or swiping a tasty morsel of steak right off your plate. And when “on the job,” you won’t find a finer or more reliable work partner than your Afghan. So is the Afghan hound smart or not smart? Or do we just not yet have a test to reliably measure the Afghan’s unique type of canine intelligence? These are questions the emerging science of figuring out “what is the smartest dog breed” have yet to answer. Why Are There So Few Small Dogs in the Top 10? In a 2013 study, researchers found that lower weight dogs tended to display more difficulty learning commands and obeying those commands. But we don’t think of them as stupid. The word “stubborn” usually comes to mind instead. 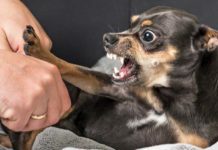 Small dog breeds may be less apt to learn commands quickly and obey them consistently, but this doesn’t mean they aren’t intelligent in other ways. The smartest small dog breeds may simply exhibit a different type of canine intelligence than their large fur counterparts. 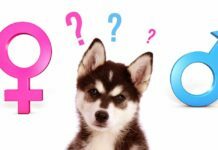 We hope you have enjoyed learning more about what the science of canine intelligence has revealed thus far about the smartest dog breed in the world. Canine cleverness is hard to quantify. The yardsticks used in the past tend to favor working breeds, who learn and remember commands quickly. But even dogs who show little inclination for following orders have their own kind of intelligence. You and I might disagree on the smartest dog, if we are impressed by different skills. But all our dogs are smart, just the same. Is your dog super bright? How have they surprised or amazed you with their brain power? Does one breed stand out for you as consistently above average for intelligence? Join in the conversation using the comments box! Previous articleBest Indoor Dogs: Which Pups Can You Keep Indoors? Next articleBest Guard Dogs: Which Vigilant Pup Will Protect Your Property?